Back in the 1970s, being a 'freak' was a way of showing your individuality, and Gong were one of the freakiest and most original bands of the decade. Formed by Soft Machine founder member, guitarist and vocalist Daevid Allen, the Anglo-French musical commune blended jazz, psychedelia and progressive rock into a unique musical mix, which incorporated quirky songs and elongated space-rock excursions. Gong were typically clad in flamboyant hippy garb – including hats with propellers – and went by assumed names like Hi T Moonweed and Bloomdido Bad De Grasse, while Allen's surreal lyrics charted out the story of the mythical Planet Gong. But beneath these rather goofy trappings, Gong were also inspired and formidably talented musicians. When Allen, an Australian national, was refused entry back into the UK from France in 1967, his tenure in Soft Machine had effectively ended. He formed a new group, Gong, and the first album under that name was Magick Brother, released in 1970. Allen and his partner, the poet Gilli Smyth, intoned their pithy observations and countercultural calls-to-action like 'Change The World', over an organic stew of largely acoustic instruments and percussion. Didier Malherbe (aka Bloomdido Bad De Grasse) – who would go on to become one of the group's longest serving members – featured on sax and flute. But the story really starts with Camembert Electrique. The album was in a more psychedelic and progressive vein, and saw the first mention of Radio Gnome Invisible and its broadcasts from the Planet Gong. The album was originally released on the French label BYG Actuel in 1971, but the newly formed Virgin Records acquired the rights in 1973. And in a move that gained the group considerable exposure, Virgin sold it for £0.49, then the price of a single. 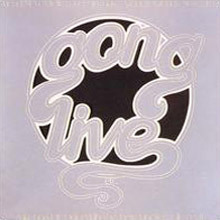 Gong came to the notice of John Peel and recorded sessions for his influential radio show. Allen let his imagination run riot on Radio Gnome Invisible Part 1 – The Flying Teapot, also released on BYG and later leased to Virgin. This first instalment of the Radio Gnome trilogy features the adventures of Zero The Hero and the Pot Head Pixies in shorter songs set alongside lengthy, trance-like instrumental sections. Guitarist Steve Hillage, who had played in Egg and Khan, was drafted into the band along with synthesiser player Tim Blake (aka Hi T Moonweed), adding a more 'cosmic' feel to the music. Angel's Egg, recorded later in 1973, was more eclectic than its predecessor. It included elements of be-bop and gallic soundingchanson, but rendered in a peculiarly Gong style. The music was further enriched by the arrival of extravagantly gifted, conservatoire-trained drummer Pierre Moerlen, along with brother Benoit and Mirielle Bauer on vibraphone, glockenspiel and marimba. This dazzling soundworld was explored more fully on You, the final instalment of the trilogy, released in 1974. While Allen offered fewer, but still telling, vocal and lyrical contributions, the band's collective playing had reached new heights. Hillage, particularly, was on stunning form, adding searing solos to the full throttle space-rock of 'Master Builder', and the majestic, synth-led instrumental 'A Sprinkling Of Clouds'. Allen left after You, but the group carried on, playing old favourites and selections from Steve Hillage's recent solo album Fish Rising in concert. The guitarist then took his leave, but guests on Shamal. The 1975 album, produced by Pink Floyd drummer Nick Mason, is a beguiling, exotic set, which displays middle and far Eastern influences. Bass guitarist Mike Howlett – who would go on to become a top producer in the 1980s – took over on vocal duties. 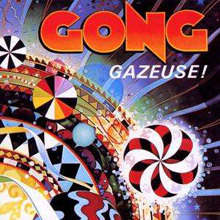 Gong's next album, Gazeuse!, released in 1976, saw a major reshuffle. Bass player Francis Moze, who had played on Flying Teapot, rejoined, but the main difference was the arrival of guitar virtuoso Allan Holdsworth, who had recently worked with The New Tony Williams Lifetime and Soft Machine. Gong were now ostensibly under drummer Pierre Moerlen's direction. He wrote the majority of the music, which was now completely instrumental and full of supple, jazz-tinged grooves. Bauer and Benoit Moerlen's tuned percussion provided the melodic patterns. Fashioned along the same lines, Expresso II was bolder, with funkier elements. The drumming and percussion work is phenomenal throughout and this incarnation of Gong still sounded unlike anyone else. The guest musicians included former Rolling Stone Mick Taylor and Darryl Way on violin, formerly of Curved Air. The pick of this post-Allen era is captured on the 11-track Best-of, Wingful of Eyes. A Retrospective '75-'78. In 1977, Virgin had released the compilation album Live Etc. Despite its perfunctory title, this was a treasure trove for Gong fans, consisting of unreleased music from 1973-75. It comprised a John Peel session from early 1974, live sets and out-takes, including previously unheard material. After Expresso II, Moerlen was keen to clearly delineate the difference between his recent musical venture - Pierre Moerlen's Gong - and the original band. Similarly, Allen had been recording under a number of aliases, including Planet Gong, New York Gong and Gongmaison. 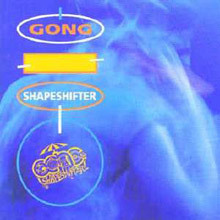 But in 1992 the story was made a little more straightforward with Shapeshifter, recorded simply as Gong, which found Allen reunited with saxophonst and flautist Malherbe. This wide-ranging set explored all points between tabla rhythms and banging techno. It even resurrected the Radio Gnome mythology at its most cranky, with Zero The Hero flying in an airplane for nine months and living on airline food, before dying in Australia. Even that was not the end of him, as on Zero To Infinity (2000) his spirit lived on. On Acid Motherhood (2004), Allen drastically changed tack, collaborating with guitarist Kawabata Makoto and synthesiser player Cotton Casino from super-heavy Japanese psych-rockers, Acid Mother's Temple. 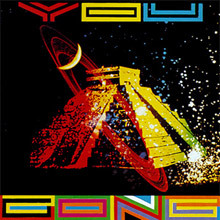 And just when it seemed that Gong might have faded out, the group returned in 2009 with another strong set, Gong 2032. The line-up again included Howlett, Malherbe, and Steve Hillage on guitar and production duties. And if some of it is idiosyncratic to the point of baffling, that has always been part of the fun with Gong. The essential Live Etc. sports incredible live versions of material from four Gong albums (Camembert Electrique, Flying Teapot, Angel's Egg, You) and one studio track which had been recorded in 1974 as an attempt at a single. The live material, recorded 1973-1975, consists of performances from several different incarnations of the band, making this an excellent starting point for anyone interested in sampling Gong. Abundant and overflowing with infusions of space, prog, and jazz, this melting pot of a band stands alone in its eclectic delivery of the goods. Highlights include Moerlen's percussion solo on "Flying Teapot," Malherbe's sax solo on "Zero the Hero...," and Hillage's guitar work on the spacy "Radio Gnome Invisible." 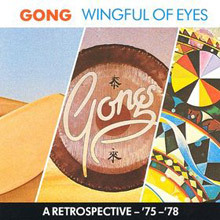 "Where Have All the Flowers Gone" is Gong's attempt at a single; while somewhat mainstream, even this piece pushes the envelope for the airwaves. "6/8 Tune" is a superb jazzy instrumental, a kind of foreshadowing to the CD's final four tracks, which are for the most part instrumental and very progressive. The tracks blend together to form the climax and highlight of this great live album, and exhibit the jazziness that would become an integral sound in the band's future releases. Recorded after Allen's departure, this is the personnel that would go on to record Shamal, though no tracks from that album show up here. Live Etc. originally ended with the tune "Ooby-Scooby Doomsday" (another attempt at a pop hit), but at 79 minutes, the CD format could not hold it, and it has been tacked on to the end of the Angel's Egg compact disc release. Gazeuse! was the first in a successful line of strictly jazz-rock sessions for percussionist Pierre Moerlen and company -- compositions that stressed jazz more than rock and which generally strayed away from lyrical content. This 1976 recording, also released under the title Expresso, was the band's first completely instrumental album, a companion piece to the later, somewhat warmer Expresso II, which is quite similar in sound and structure. To say Gazeuse! is percussive is an understatement. Drummer Moerlen is accompanied by brother Benoit and Mireille Bauer on vibraphones with Mino Cinelu playing other assorted percussion. "Percolations" is a showcase for this foursome: Part one, a display of beautiful vibes and xylophones; part two, a technically superb drum solo. Pierre's playing is fierce in this second part, exhibited by some truly volatile drumming near the close. Allan Holdsworth is the sole guitarist on the album and contributes two of his own compositions. His "Night Illusion" is a standout and reminiscent of Bill Bruford's Feels Good to Me on which Holdsworth collaborated around the same time. Longtime Gong member Didier Malherbe adds spice to the proceedings with jazzy flute on "Shadows Of" and prominent sax on the slightly funky "Esnuria." As interesting and fun as the Daevid Allen period was, the name Gong became more meaningful in the context of the music as percussionist Pierre Moerlen assumed the role of bandleader. An emphasis on percussives of all sorts became clear on Gazeuse!, the band's first completely instrumental album, and the music became much jazzier, though never considered jazz. Expresso II finds Pierre Moerlen's Gong at their peak. Like their previous studio release, Gazeuse!, the album is instrumental, the music is very polished, the sound very clean. Vibes and xylophone dominate on this album, somewhat reminiscent of the sound Zappa achieved through Ruth Underwood on One Size Fits All just three years earlier. The first two tracks, "Heavy Tune" and "Golden Dilemma," are the highlights here, partially due to the fact that the rest of the cuts all blend together and sound quite similar. The listener is pleasantly assaulted with a barrage of vibes, yet what a unique sound it is when heard on a rock-oriented album. Guitar combos rarely get much better than on "Heavy Tune," as Mick Taylor rips out leads over Allan Holdsworth's grinding rhythm guitar. The collective guitar sound achieved is one of restrained power; however, the piece can comparatively be considered a rocker. Gong shifts to a different gear with the following track, "Golden Dilemma," a faster-paced, jazzy piece with incredible solos from guitarist Bon Lozaga. Formerly of Curved Air, Darryl Way's violin is a highlight on "Sleepy" and "Boring" (neither of which apply). "Sleepy," which combines Way's violin with Holdsworth's guitar leads, prefigures the sound of the first U.K. album (Holdsworth went on to form U.K. with violinist Eddie Jobson). A very short album, Expresso II is possibly the strongest of the post-Allen Gong, and an essential album. 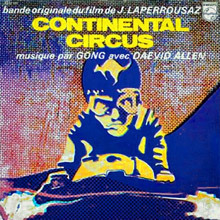 Gong performed the soundtrack for Continental Circus, Jerome Laperrousaz's film about the 1970 Grands Prix 500cc. Laperrousaz also collaborated with Gilli Smyth on the compositions, which are tighter and more intricate than the band's previous release, Magick Brother. This is possibly the smallest number of musicians involved on any Gong project, and it shows in the sound of the music -- straightforward progressive rock with no surprises. Keys and synth are kept to a minimum as the band plunges forth with the standard guitar, bass and drums. Malherbe's playing (sax/flute) has not yet moved to the forefront, and the band decided to drop the psychedelic angle for this outing. Much of the music is strictly guitar-driven, with the final instrumental cut resembling early King Crimson, as is the case on several cuts from the following, far superior release, Camembert Electrique. 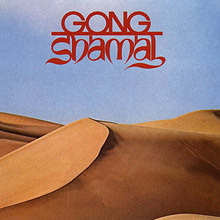 This is a compilation from three of Gong's mid-'70s releases, Shamal, Expresso II, and Gazuese!. There's not a weak song in the bunch, but then again all three of the aforementioned recordings were all excellent. 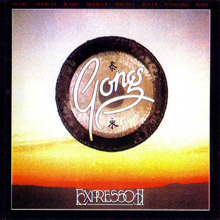 This period for Gong found them playing mostly instrumentals with a heavy percussive sound which can be attributed to the leadership of drummer Pierre Moerlen. Although they are usually listed as one of the great progressive rock bands, closer inspection reveals that this lineup actually offered more to the jazz-rock fusion movement of the mid-'70s. Their contributions went largely unnoticed at the time, but it later became clear that they had carved out a unique and fresh approach to what had become a style bogged down in technical showmanship. It wasn't until bands such as Ozric Tentacles and later Phish, began to surface in the '80s and '90s that the influence of Gong began to be felt again. This is the original jam music. Between Daevid Allen's departure from the band and Pierre Moerlen's official takeover of the band, there is Shamal. This transitional album contains none of the Allen-inspired psychedelia, but also very little of Moerlen's jazz influence. Shamal is, for the most part, a progressive rock album, half vocal, half instrumental. Its most accessible tune, the opening "Wingful of Eyes," had the potential for airplay if only it hadn't been so lengthy. Penned by Mike Howlett, his not-so-great-but-appealing vocal style and lyrics will grow on you, given the opportunity. "Bambooji," mostly instrumental, opens with Didier Malherbe's flute, which at times gives this tune an Asian sound. Percussion and flute dominate and yield a Scottish feeling as well. "Mandrake" is the soft, laid-back piece on the album, followed by the closing title cut, a slight foreshadowing of the sound Pierre Moerlen and company assumed on the next several albums. Moerlen, an outstanding, classically trained drummer/percussionist, along with Jorge Pinchevsky on violin color this piece with a Mahavishnu Orchestra hue, although it's still distinctly Gong. For their first album of new material in over 20 years, the real Gong (i.e., one led by Daevid Allen and containing a number of players from the classic '60s-'70s period) offer -- well, much of what made them so popular in the first place. There's an impish sense of humor to the lyrics, Gilli Smyth's deeply echoing space whisper, stunning sax and flute work from the criminally underrated Didier Malherbe, and plenty of trademark glissando guitar from Allen himself. Goddesses are invoked, gnomes are mentioned, and rhubarb is eaten, among many other things. Guitarist Steffi Sharpstrings fills what was Steve Hillage's role with plenty of post-punk energy, but really it all revolves around Allen's personality and some stunning music. Time's been kind to Gong. Their pioneering space rock ways found a home with the ambient crowd and their music shows they've listened to what's gone on and incorporated it into their sonic journey, which is part prog rock, part jazz, and part just out there. "Can You: You Can," a live cut from 1992, with its wonderful improvisations, is a prime example, although even better is the long closer "Goddess Inovation/Om Riff," where they hammer to infinity and beyond. Veteran Pip Pyle shows a light, steady touch on the drums, Allen is even more inventive than before, and the refusal to take themselves completely seriously keeps it floating along. Having this band together before recording in the studio was obviously a good idea; they mesh perfectly, and it's good to have a classic back, energetic and full of ideas. The companion piece to The Flying Teapot, Angel's Egg is not your usual progressive rock album. Very quirky, with many, mostly brief compositions, the album is a tad less spacy than Teapot, with just a few psychedelic-inspired lyrics, and it's very technically adept. 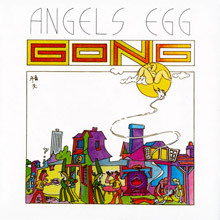 Angel's Egg opens with a true space rock cut (one of the few on the album), filled with the usual Gilli Smyth space whispering and Daevid Allen voicings, then leads into the cleverly titled "Sold to the Highest Buddha," with Steve Hillage and Didier Malherbe prominent figures. The instrumental "Castle in the Clouds" finds Hillage coming into his own, with a sound identical to his solo work. "Givin' My Love to You" sounds like a bar song, with no music and a cluster of seemingly drunken fellas trying to sing. The instrumental "Flute Salad" gives way to "Oily Way," a showcase for Malherbe's jazzy flute. "Inner Temple," an instrumental space rock track, moves along with a jazz edge, provided by Malherbe's sax. The final three tracks are the real highlights on Angel's Egg. "I Never Glid Before" is a fantastic prog rock tune, replete with blistering Hillage solo, primo Allen lyrics and vocal, and the precise percussion of new bandmember Pierre Moerlen. This eclectic composition travels through several movements and time changes, and comes across as a perpetually progressing piece. The imaginative and jazzy "Eat That Phone Book Coda" brings the album to a close.